Many of the early settlers in Northumberland County (later Snyder County) relocated from Berks County. There is evidence that the Kern family that ended up around Beavertown, PA settled in the eastern part of Pennsylvania for a few years. Yost Kern may have spent a few years in Berks County, before settling in Northumberland County in 1772. Source from the Snyder County Pioneers by Charles A. Fisher (1938). Information taken from Library References for Yost Kern, added by wwaltman on 27 March 2008, Early Kern Family History. 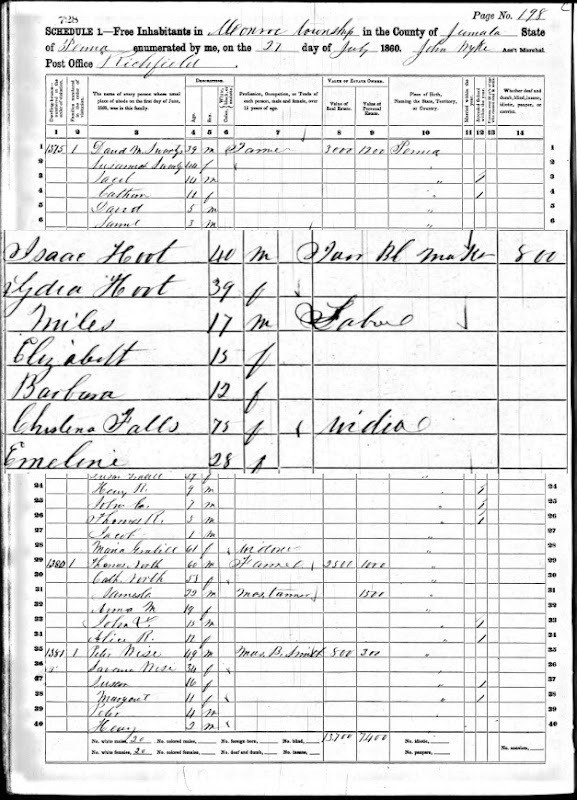 Census 1880 Sarah Fall. 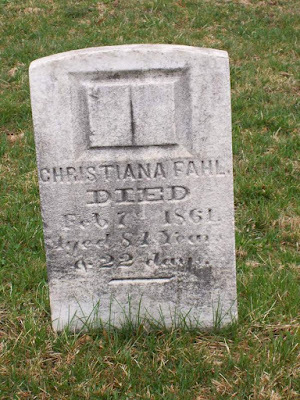 Census sheet indicates that Sarah is the widow of Samuel Fall and that her brother-in-law, George Fall was living in her household. George indicates on census that his parents were from Holland.